*Photo Credit to Simply Lace Photography for all of our amazing wedding pictures! Looking back on 2017 I am so grateful for all the travel opportunities I was given. I started off the year living in British Columbia, ended it in Seattle, and had so many adventures in between. 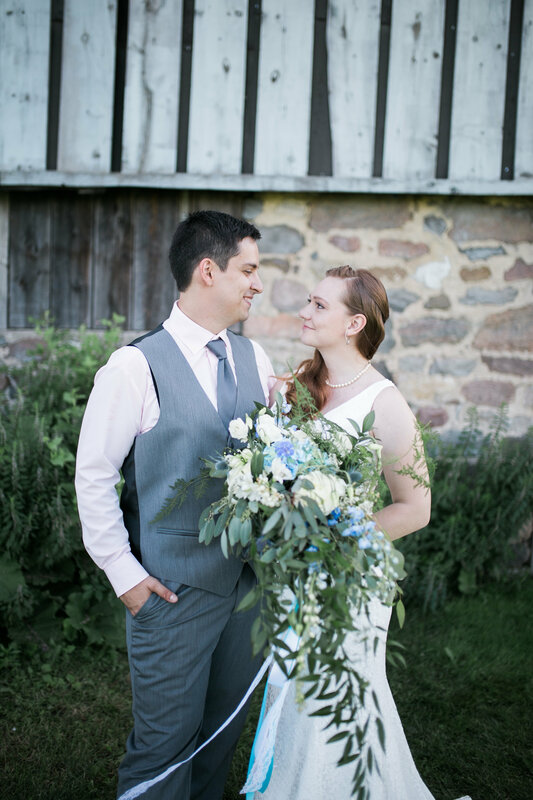 I spent weekends venturing to nearby locations, took a road trip or four, and got married (!!! !, pictured in the first photo) and then spent my honeymoon wandering around Europe. Of course, with everything, always, it was not all smooth sailing. It would not be fair after my first month of truthful travel blogging to present you with a picture-perfect image of my year. All of these locations have some funny stories behind the beautiful pictures, so here it is: my favorite locations of 2017, truthful travel style. We spent a long weekend in Kelowna checking out a ski & snowboard resort in February. From the pictures it looks beautiful: clear days and snowy mountains galore. It was my favorite mountain to snowboard on, and there were so many different areas of it to explore. All was going well until the last day. After very successful runs the day before I decided to be brave and try a lift that went to the top of the mountain. As we kept going higher and higher on the ski lift I started to get nervous. HOW could there be a green run (the easiest route to the bottom) this high up?! There was in fact a green run waiting at the top, but it was unlike the other green runs I had tried. It was very, very narrow. I fell every time I got close to the edge, scared I would accidently fall off and onto a black run (much harder). After a rough day with me feeling very defeated it all culminated in a fall hard enough that I had to sit in a blow up donut for the next week, as I had hurt my tailbone bad enough that I could not sit down without cushiony assistance. And so ended my snowboarding season. Beautiful destination, sad finish to my season. British Columbia is beautiful enough that it made two of my top five! I lived in British Columbia for half of the year and although I did not see nearly enough of it, I was lucky enough to have a day off and visit the Tulip Festival. It is a yearly event that happens in the Fraser Valley area. There was every color of tulip imaginable, set to a backdrop of mountains in every direction. The contrasting of colors was striking, but there was something that became even more striking as I walked through the fields. The flowers and tourists were being enveloped by colonies of gnats so thick they were getting in my hair and down my shirt. A few possibly even bumped into my eyeballs. I had to hold my breath as I walked among the beautiful tulips. I ended up cutting my time in the fields short due to the panicky feeling that I would soon inhale some gnats along with my oxygen. Beautiful destination, gnats not pictured. California makes my list every year, and if you’ve been there I’m sure you can understand why. There is so much to do in California: theme parks, forests with giant trees, beaches and deep lakes. My first trip in February was a weekend road trip to Big Sur. Our road trip almost came to an abrupt end part way through California, when we reached washed a washed out highway and cars that were not moving in either direction. Flooding the day before had created a bit of a mess, and cars were waiting hours to get through the huge puddles. We decided to try and avoid the problem by outsmarting everyone. Or so we thought. We got off at the next exit and tried for multiple hours to get around using back farm roads. We successfully got temporarily stuck in some mud, splashed through some questionable water and waved to some ducks as we drove through large puddles (thanks SUV!) In the end we did in fact make it to Big Sur and had a very windy but fun time exploring the coast. In October we returned for a longer vacation, which surprisingly went pretty much as planned. We visited The Bay Area, Disneyland (it’s so fun at Halloween! ), Laguna & Huntington Beach with my sister and very little went wrong. Want to know more about Paris? I have a Highlights of Paris Itinerary! My fourth destination is an entire country, and it sure deserves it. Although our entire honeymoon was amazing, France stood out. Paris was a dream (you can read all about the funny things that happened here). Magical castles were everywhere in the Loire Valley. We found the cutest town in the French Riviera. And the food!!! French cuisine is definitely my favorite cuisine of them all! So as not to spoil my next few posts, I’ll save the funny stories for now. Beautiful destination, funny stories to come. We finished off our 2017 travels with a road trip to Banff in November with my dad. Our goal was to try and find lots of snow in the mountains. We found some snow, and had a lot of funny moments too. I previously talked about our wildlife run-ins, scary moments, bad weather and funny lies in my post here, but there was one story I never got to tell. Our last day of the trip was supposed to be an easy three and a half hour drive home. It all started when we were rerouted off the highway. Soon thereafter I forgot my purse in a gas station parking lot. I found it safe and sound, but that set the tone for the rest of the detour. We proceeded to have to take a 2 hour detour North. On this detour we drove on a road that looked down some scary cliffs and ended at a place called Hell’s Gate. Beautiful destination, long and crazy trip home. 2018 looks like it is shaping up to be another eventful year travel wise, and I cannot wait to share some locations with you soon (visiting a new continent is in the cards!!) Thanks for following along, I promise 2018 will feature just as much truthful travel. Happy New Year to you all!!! Thank you so much for the wishes!! I hope you have an awesome time in Banff, its beautiful! Looks like an awesome 2017. We are partial to California as San Diego is our home and we are never left with nothing to do that is for. Banff is on our bucket list and hope to make it up there soon. San Diego is my favorite! My boyfriend (now husband) did an internship there in 2013 and I got to visit lots. We haven’t been back since but I hope we can soon!! Sorry to hear about the donut, awesome post! The donut was rough, but the beautiful slopes were worth it!!! !